It's one of the year's biggest party nights, which means people are going to make bad decisions about getting behind the wheel. Officers of the Ohio State Highway Patrol are doing their best to make sure no one gets hurt because of it. BLUE ASH, Ohio - With millions of drivers on the roads around the country, the Ohio State Highway Patrol is out in force this holiday weekend. 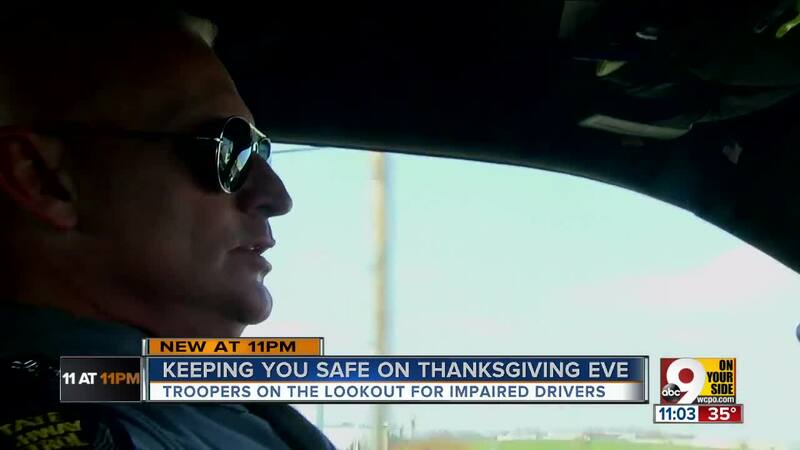 WCPO's Jasmine Minor went on a ride-along with Gentry to learn what the OSHP will be doing to keep drivers safe and take impaired drivers off the road. "We've got impaired driver crashes that are happening at 10 in the morning," Gentry said, explaining that it’s a problem 24-7. 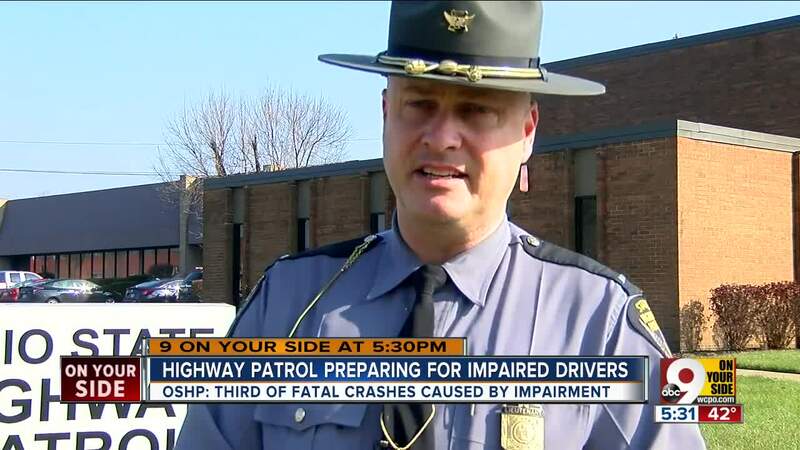 In 24-hour coverage, troopers pull over an impaired driver every hour. Gentry said they’re not just looking for drivers speeding, but swerving and braking late, too. "Losing that judgment as far as distances go," Gentry said. In this year alone, there have been 22,000 arrests for operating a vehicle while impaired, said Lt. Scott Kuntz. "Of those 22,000, 5,000 have been drug related," said Kuntz. While OVI-related deaths are down by 51 this year, he said the number is still too high. "We're not able to stop the efforts at this point. We need to continue strict enforcement of OVI's," Kuntz said. If you see an impaired driver on the road, troopers say the best thing to do is keep your distance or try to get around the car. They encourage you to report the driver by calling 911 or #677.